What effect do you think citizen journalism will have on the future for professional journalists? It’s already had an impact on their awareness of scrutiny: I’ve heard journalists and editors saying they feel they have to produce better quality journalism and get it right, because they know if they get the facts wrong people will point it out. 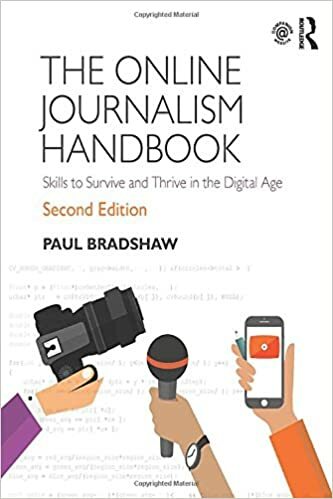 It’s also already had an effect on how they work: journalism is becoming more collaborative as journalists realise that many ‘citizen journalists’ either have more expertise on a subject, or first hand experience of an event. But also that ‘citizen journalists’ actually have little interest in being journalists – they’re not in competition. You could probably also add its effect on the news agenda: if a particular story or aspect of a story is generating a lot of heat online then it is harder for journalists to ignore it – for example the remarks by Trent Lott that initially went largely unreported; or Trafigura. As the saying goes: the future is already here, it’s just unevenly distributed. These changes are already here and will probably continue to impact journalism’s future more broadly. Do you think the rise of blogs and social media might endanger aspiring journalists’ employability in the future? Not any more than the rise of pubs and music venues might endanger aspiring musicians. Blogs and social media are platforms to practise your journalism. In that sense it provides a space to showcase your work and build your contacts and reputation – particularly for people who might otherwise not be able to access jobs in the media because they cannot afford to put themselves through university, do unpaid internships in an expensive city, etc. For those people, it actually improves employability. There is the danger that some bloggers are exploited by publishers who use their content without payment, but ultimately if they want reliable, high quality content they will have to employ someone. Ultimately, if someone is producing content without payment or employment, it’s generally because they get some reward other than payment or employment – and that means writing what you want, not what you’re paid to. Do you think people being able to write whatever they want on Twitter and similar sites without rules and regulations is necessarily a good thing? They cannot write ‘whatever they want’ ‘without rules and regulations’. The same laws that apply to what you do offline apply online – in some ways, more so. There are numerous people who have been arrested, charged, and even sent to jail for things they have said on Twitter, Facebook, and elsewhere. If they’d said those same things in the pub, they likely would not have faced the same consequences. What do you think the future holds for citizen journalism? It’s too broad a question to really answer. I don’t think ‘citizen journalism’ is even a phrase that’s widely used any more – so perhaps the future is that we will stop talking about it altogether. We will just talk about journalism, and more often than not it will involve contributions from both professional journalists and non-journalists finding, publishing and distributing information online. 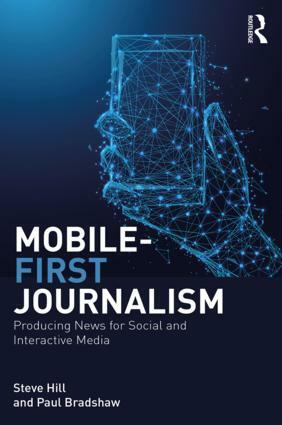 The idea of ‘citizen journalism’ was, in retrospect I think, something of an ego trip by journalists: it came from an assumption that all citizens aspired to be journalists; that their attempts to publish came from a desire to ‘be like us’. My own experience with Help Me Investigate has been that they don’t: what they want is answers, or simply to communicate with other human beings. ‘Citizens’ show little desire to tell news stories about their discoveries in the same way that journalists do. We’re quite odd that way, really. I think citizen journalism is a fantastic way for budding journos to prove themselves and make their way into the industry. There will always be a need for professional journalists because it is a job that requires a lot of skill, training and talent. However, I don’t think professionals should feel threatened by citizen journalists – instead they should embrace them and work together!